US equity futures closed moderately mixed, sp -2pts @ 2096 (intra high 2103). The two leaders - Trans/R2K, both settled higher by around 0.3%. 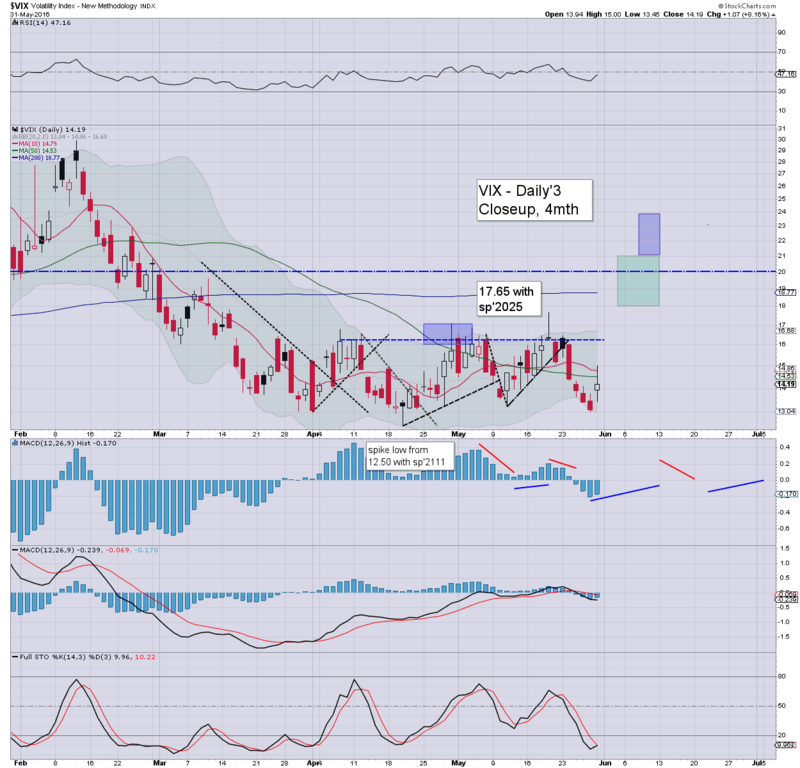 VIX saw a net daily gain of 8.2% @ 14.19 (intra high 15.00). 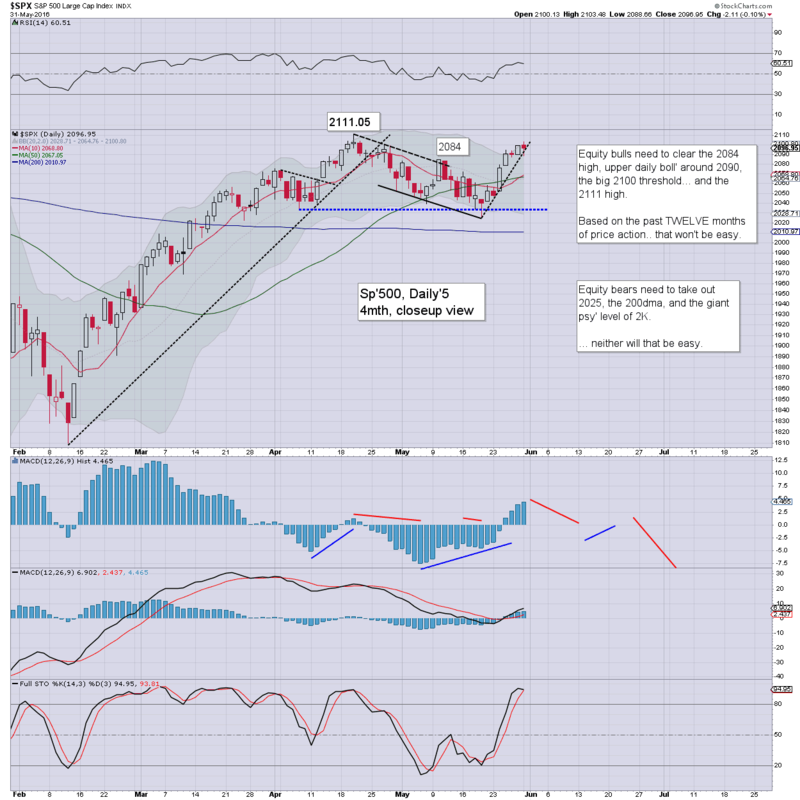 Near term outlook offers some initial cooling to the sp'2070/60s. .. and another month comes to a close. The closing hour mini ramp was somewhat typical, as there were a number of the usual 'end month' issues. Despite a gain of 8%, relative to an array of threats in June, the VIX remains at bizarrely low levels. Based on recent price levels, just to reach the key 20 threshold, will require the sp'500 to break the recent low of 2025, and then break the 200dma (2010). 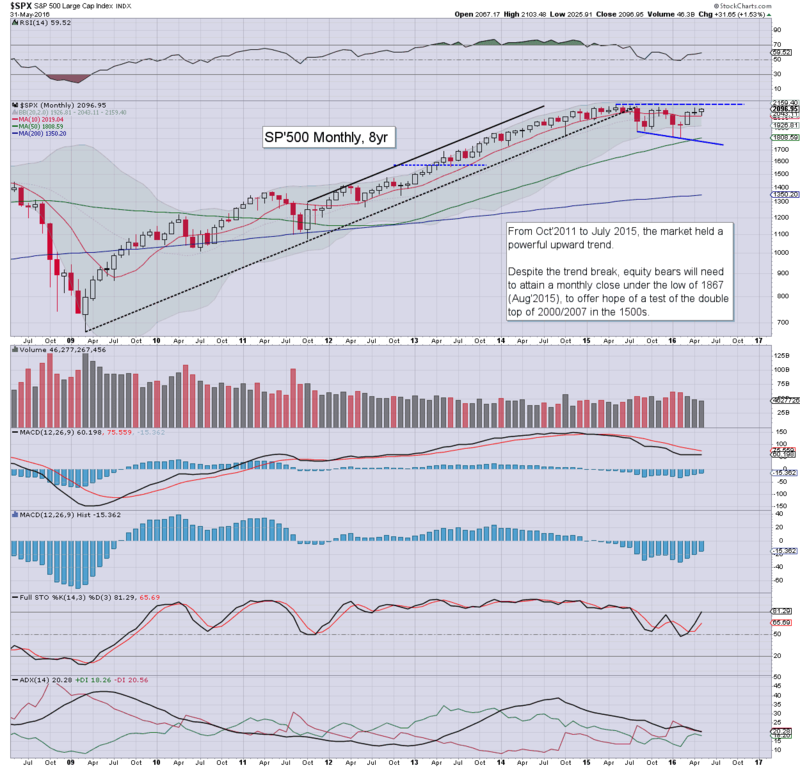 The third consecutive net monthly gain, +31pts (1.5%) @ 2096. 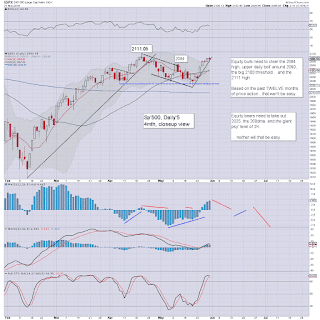 Equity bears need to take out the recent low of 2025 to cause some provisional trouble in June. 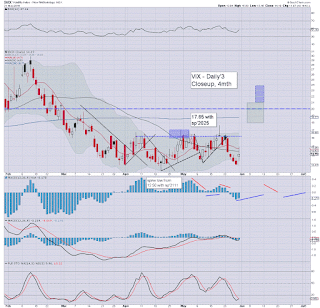 A realistic target for June are the lower weekly/monthly bollingers... in the 1950/25 zone. 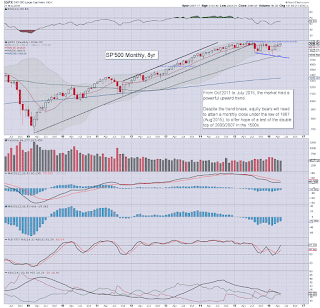 For any continued hope of taking out the 1810 low, the bears should be seeking a June close <1950. On the flip side, if the UK populace vote to 'stay', and if the Fed can continue to tread a fine line, then a breakout >2134 is viable. 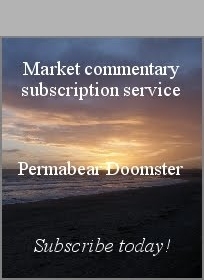 If that occurs, it negates ANY bearish outlook for the rest of 2016. Best guess... a third failure for the bull maniacs to break 'up and away', with the mid/low sp'1900s by late June.